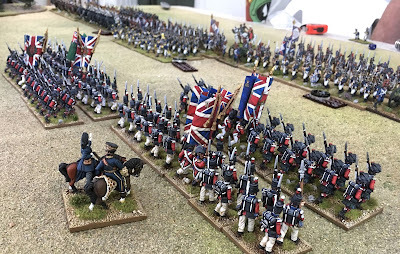 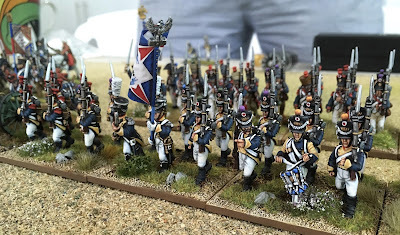 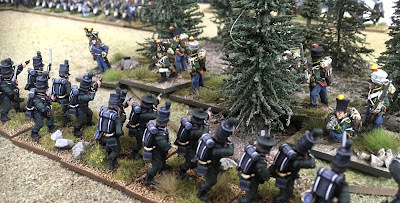 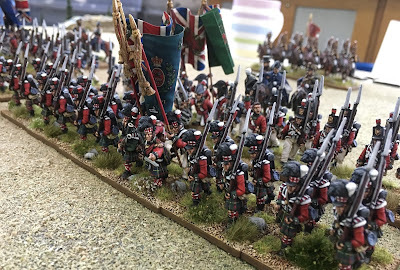 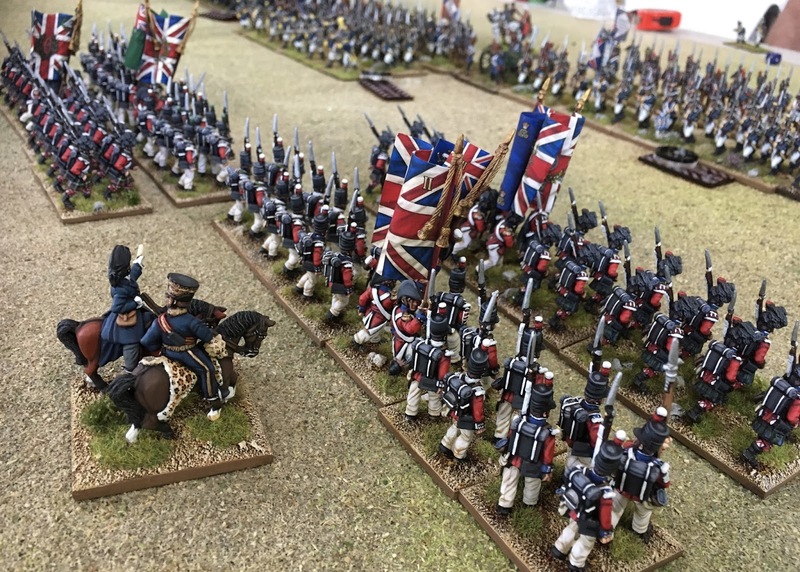 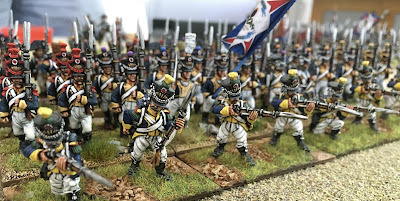 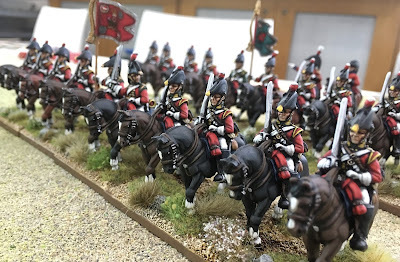 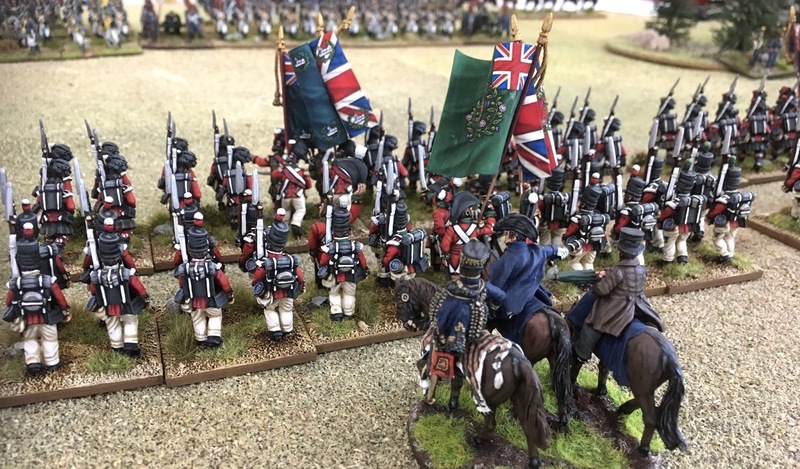 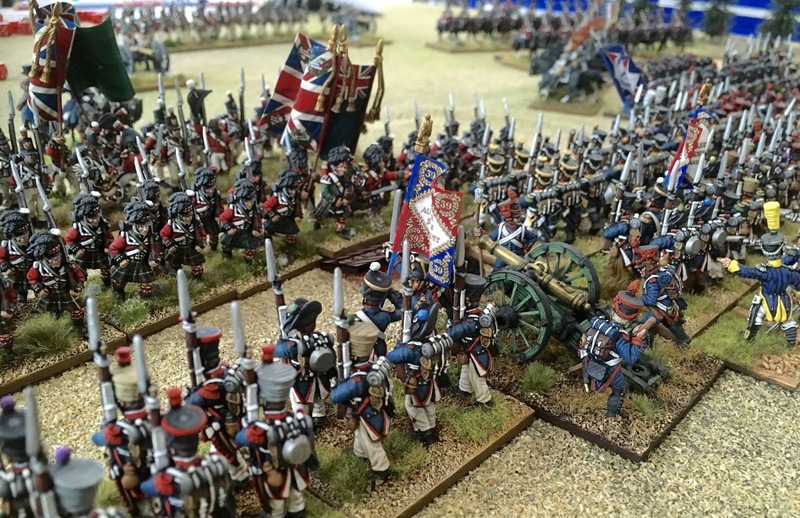 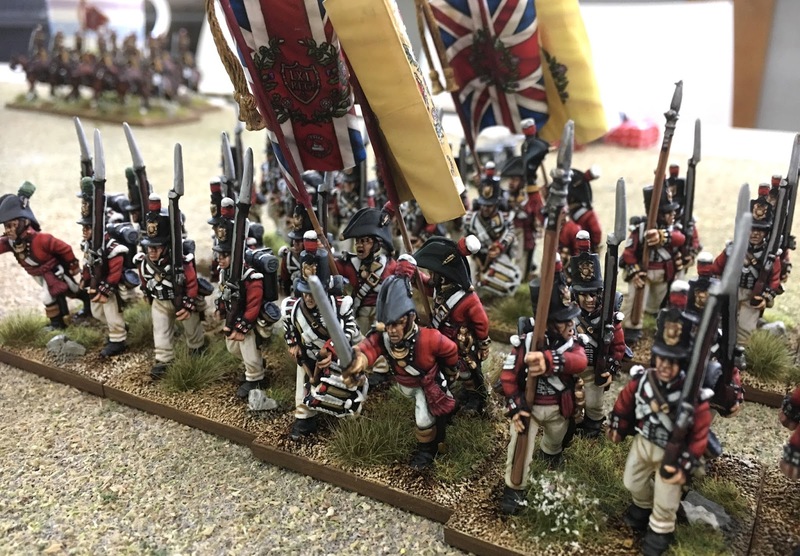 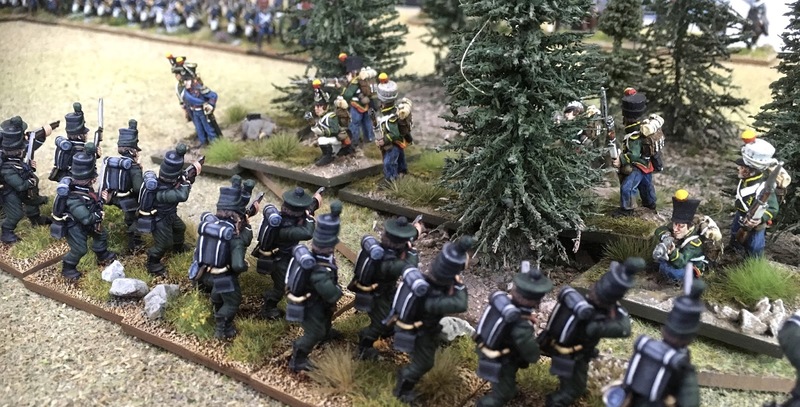 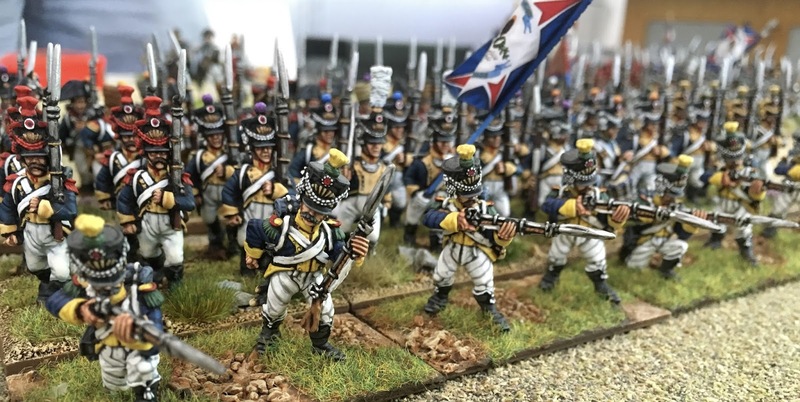 We have not played a game of Napoleonic's for well over a year now and with all these beautifully painted figures lying around it just did not make sense. So Myself and John decided to drag a few battalions from each side and have a very small game of Basic Battles. 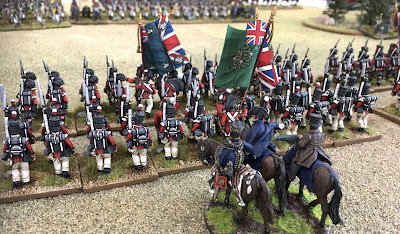 The rules themselves are as they state 'Basic' and our game was over in just over an hour, though it may have been quicker if not for one rule neither of us really liked. 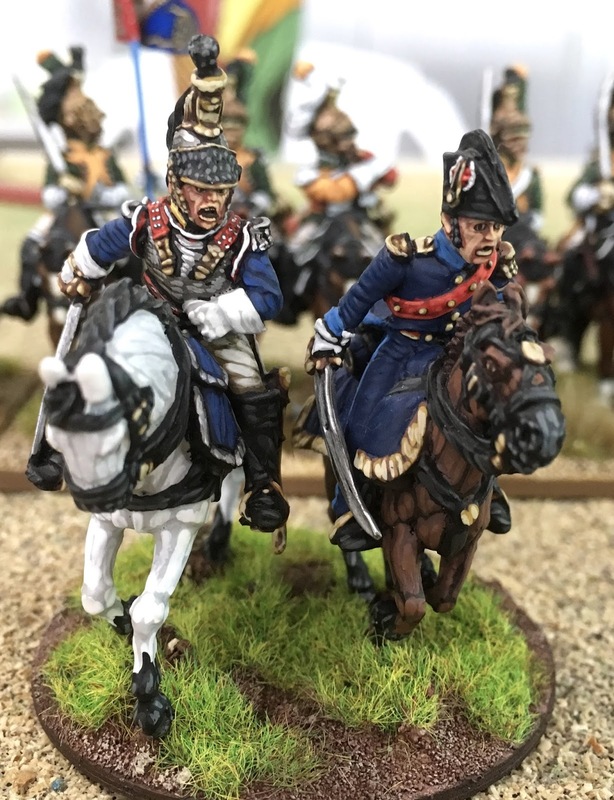 The rules have a special adaptation for Elite and Veteran units where if hit they nullify the first hit, which can be very frustrating. 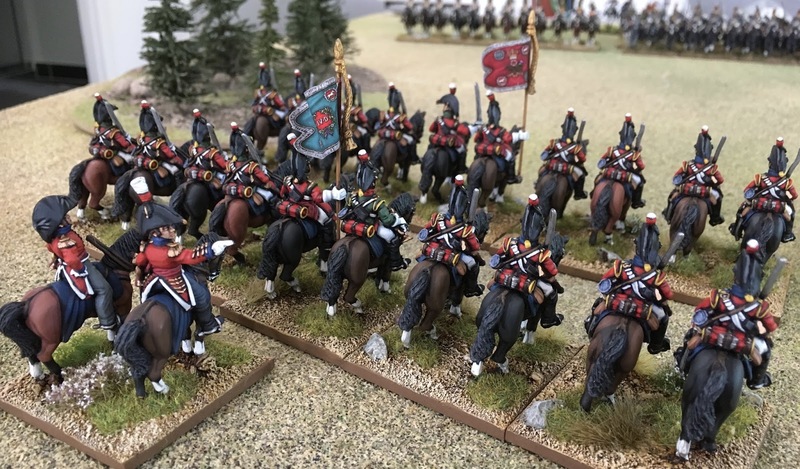 We think that this rule should be changed to say that any double '5's are nullify similar to the ruling for Tercios in Baroque, which would make more sense? 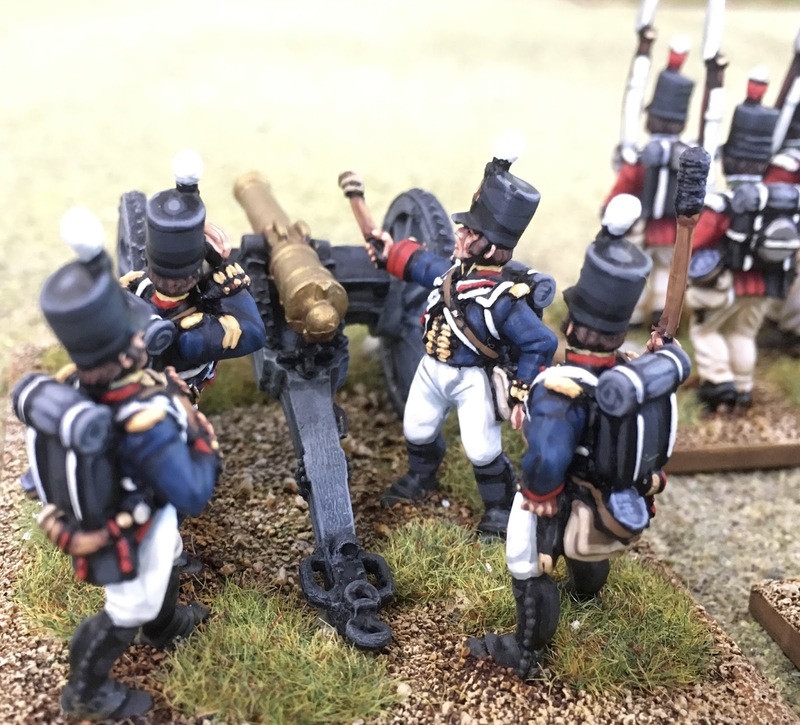 As for some of us just rolling a '6' is an accomplishment.